Home Page - CULTEC, Inc.
Chamber sizes from 8.5” to 48” tall. 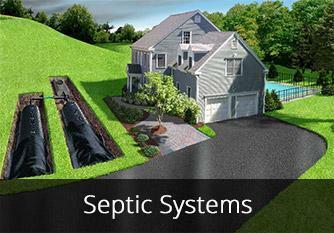 And, our unique internal manifold promotes lateral flow while reducing area, excavation, material and labor costs. Eliminate puddles by collecting and storing water from driveways, patios, gutters, and washing machines. The open bottom and perforated sidewalls of CULTEC chambers maximize infiltrative area and allow for sizing reductions in most states. Our Technical Department can assist you with complimentary design assistance which includes project-specific preliminary calculations, shop drawings and submittal packages. Back in 1986 CULTEC introduced its Contactor and Recharger septic and stormwater chambers to the industry and helped to begin a revolution towards the usage of plastic construction products. Since then, several product developments and strategic alliances have made CULTEC a cutting edge R&D-based manufacturer. 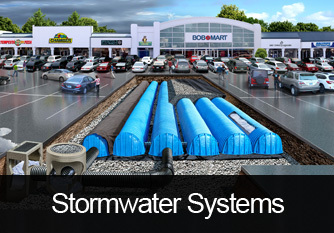 CULTEC chambers may be used as subsurface stormwater systems, as replacements for ponds, concrete structures or pipe and stone installations. and a Finalist of the 2018 Family Business Awards presented by the Hartford Business Journal. CULTEC heavy duty chambers are now BLUE. Request the personalized design assistance you deserve! Quick response time. Go to our What’s New page for more updates. We feed your hunger for knowledge while actually feeding you. 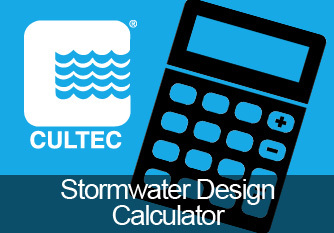 Learn about the benefits of using CULTEC Stormwater Management Systems while earning PDH credits over lunch.